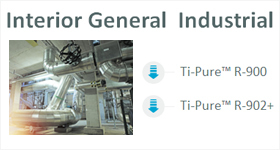 Industrial coatings cover a large range of applications from automotive finishes, powder coatings, coil and can coatings to protective paints. 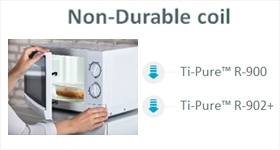 Every market segment requires different quality and performance requirements. 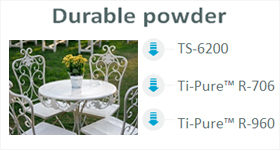 Titanium Dioxide pigment is primarily used to provide hiding and opacity but the product choice will significantly impact coating properties such as gloss, exterior durability and film cure. 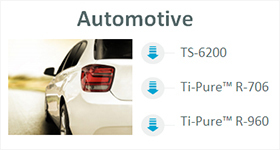 Automotive coatings are among the most demanding, requiring manufacturing and application process optimization, mechanical and chemical integrity, and aesthetics. 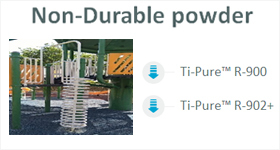 All Ti-Pure™ grades are commonly used in other industrial coatings and while hiding power is important in all applications, grade selection for industrial applications often depends on the level of gloss and exterior durability required. 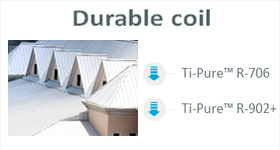 Ti-Pure™ Select TS-6200 is the most widely applicable grade, with a combination of high gloss and excellent exterior durability. 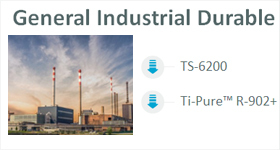 Ti-Pure™ 902+ is used in high quality finishes that require very good chalk resistance and gloss retention whereas Ti-Pure™ R-900 is used primarily for interior coating applications and can coatings for its neutral undertone.